Sage just issued Service Update 11 for Sage MAS 90 and MAS 200 which fixes an issue that some have reported when attempting to reverse a direct deposit entry in payroll. As reported by several resellers, the problem with Direct Deposit appeared to manifest itself when you tried to void a payroll check with direct deposit. Those amounts would be doubled during the payroll calculation resulting in totals that were incorrect. During the check register update, the discount is no longer removed from the invoice when paying a credit memo and invoice together and the total amount being “paid” is negative (so no check prints). The Customer Listing with Balances Report no longer prints the primary ship to code of the previous customer if the current customer does not have a primary ship to code. The Global Customer Field Change Utility now updates all customers selected when changing the Payment Type to something other than a credit card type. The Trial Balance Report now prints the correct period ending date when printing Ending Balance Only is selected as the Report Type to Print. In 941 Printing, the calculation for the SS Tips is now correct. In Sales Order Entry and Invoice Data Entry, lines are retained correctly when inserting and exploding mulitple kits (exceeding 27 lines). If you are experiencing issues with any of the above (or see this Sage “what’s fixed” list for a more complete breakout of the fixes included in MAS90 service update 11) – then consult your Sage Business Partner about installing the latest service update. 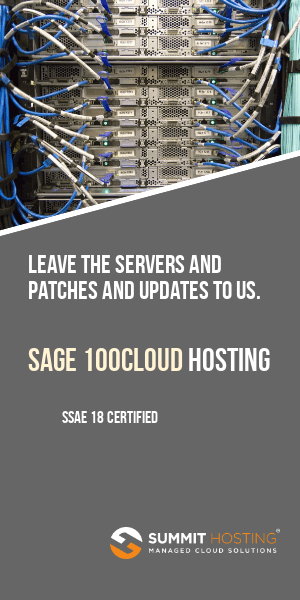 If you’re not experiencing any issues, we generally would not recommend installing the service update unless (a) You are installing or upgrading MAS 90 or MAS 200 for the first time or (b) you are about to place a support call to Sage for a new issue. Always remember that if you have enhancements or Extended Solutions that you need to check to be sure that installing a service update does not break any of your existing functionality prior to loading the update.